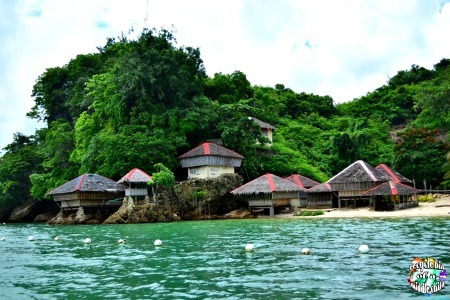 Guimaras Governor Samuel Gumarin said his province is teeming with potential for agri-tourism that he hoped government agencies would help him develop these. In his latest briefing with the members of the Regional Association of Government Executives facilitated by the Philippine Information Agency, Gumarin said Guimara sis blessed with diverse tourism spots, nature-based attractions and historical, religious heritage destinations. It has pristine beaches, coves, caves, silets, rock formations and exciting uphill and downhill terrains which have attracted mountain bikers all over the Philippines. On the side of agri-tourism, Gumarin said the province boasts of eco-adventures products in the form of mangrove-eco tours, nautical or marine sports tourism which includes island hopping, experiential or rural-base tourism activities. For small group participants, Guimaras offers MICE or Meetings, Incentives, Conventions and Exhibition that can also include rapelling, zipline and target shooting, spelunking and motocross at the Guimaras Adventure Park, Camp Alfredo, and Rifle Firing Range. Gumarin said the Department of Tourism and other civil society organizations have become its key development partners in the initiatives of the province to boost the potential of the island. Recently, Philippine Coconut Authority Dir. Jose Cruz has introduced a technology to encourage farmers to plant more coconuts and make it a thriving industry, whereby coconut water can be served to tourists instead of other juices or soda. Department of Agriculture Asst. Director Remelyn Recoter said the agency is giving more training and fund support to perk up organic farming in the province. Gov. Gumarin said the agri-eco potentials of his province will most likely be highly developed with the collaboration of agencies and other sectors.